My Snapchat score is 123,182. Despite my embarrassingly high score (which details how many snaps I have sent/received) and my frequent use of the app, I believe that Snap Inc. is a LOSER in the race among technology/social media titans for digital advertising dollars. Just like Google and Facebook, Snap has a mission statement that does not mention advertising, but that is the primary (by far) revenue source for each giant. Innovation: What started as a service solely dedicated to sending ephemeral photos to friends, has turned into an application that allows all forms of communication. Users can currently message each other, send photos and videos, video call, and post “stories” of their days. Snap’s constant innovation has undoubtedly attracted users (178 million Daily Active Users (DAUs) and 300+ million Monthly Active Users) and kept those users engaged (the average user spends about 30 mins on the app. These numbers are very impressive, but will they continue to grow? Volume: With any service that monetizes through ads, engagement and volume are critical components of financial success. 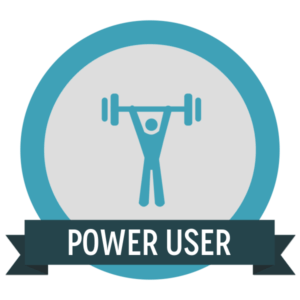 Snap has seen tremendous growth in the amount of communication on its application…. Here are some fun facts! Demographics: Snap serves as an attractive platform to advertisers primarily because of its 53% of users in the coveted advertising age group of 18-34. As advertisers increasingly seek ways to reach that targeted age range with the decline of TV viewing, Snap and other digital apps can fill in the gap. It’s also estimated that 77% of college students use Snap! Competition: Everybody is familiar with Facebook’s copycat attack on Snap. It only took Instagram Stories, a direct product copy of Snap Stories, seventeen months to get to 500 million DAUs, far surpassing Snap’s 178 million. 178 million DAUs is still a lot, right? Yes, but not when advertisers are searching for the most eyeballs. 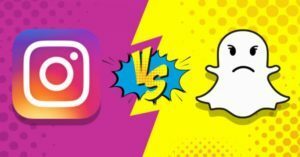 A January 2018 study by a financial analyst who interviewed 50 ad buyers showed that the ad buyers “overwhelmingly” preferred advertising on Instagram over Snap. Although Snap has been a great innovator, how will it defend itself against Facebook and its multiple billion user platforms? Surely anything that Snap continues to introduce, Facebook can again copy. Will it have some breakthrough proprietary innovation that will turn the tides? I am guessing no. Talent: The technology industry is no stranger to employer turnover; the average employee at Snap will work there for 1.62 years. However, Snap has had seven key executives depart the company since its March 2017 IPO. 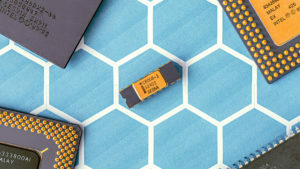 The employees that have left include the VP of Product, Head of Engineering, General Counsel, Chief Security Officer, and a Content Development executive. Surely this is not a good sign for the company. Stalled Growth/Poor Decisions? : Snap shares recently plunged 20% of missing third quarter expectations. Snap’s posted revenue of $207.9 million was well below analyst expectations of $236.9 million and posted a net loss of$443.2 million. More importantly, DAUs only grew 3% in the quarter, the slowest quarterly growth in its history. In response to the disappointing results, Snap is planning and has recently released to some users a complete redesign of the app. Will the app, which I also think can be complicated to use, become more intuitive for users? We’ll see, but I am a doubter. Let me also briefly mention Spectacles, Snap’s Google Glass equivalent. 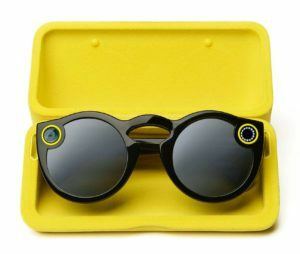 Snap lost $40 million in this endeavor as most of the Spectacles are stuck as inventory. Ultimately, these challenges will make it difficult to attract advertisers to the application. Will the company simply collapse? I don’t think so. But, if I were an advertiser, I would look elsewhere. Great post, although I do struggle with labelling it a looser already. The IPO underperformance is somehow in line with a lot of major tech IPOs. The point on competition is valid however. Yet, with all this in mind I do think there is a scenario in which snap transforms itself into a different type of business. Today, it still is a favorite platform for advertisers, who continue to discover new end customer groups through snap stories, since aside of live streaming, it is one of the most interactive platforms out there. In addition, although I stopped using the app some time ago, generation Z continues to use the app as is (see: http://www.adweek.com/digital/vandita-pendse-blend-guest-post-instagram-vs-snapchat/). Given this, I believe there is an upside case in which Snap surprises all of us, such as being the first company to actually monetize live streaming. Mike, thanks for sharing. I agree that Snap is a loser. I do not see any sort of real long-term competitive moat. This point is perhaps best supported by the fact that Instagram replicated Snap’s entire business practically overnight. Although Snap has engaged an attractive demographic, I am worried about the long-term usage rates as the product loses its appeal and the resulting loss of advertising revenue. Snap needs to innovate considerably to create some sort of sustainable differentiation to ever be labeled a winner in my mind. (As a side note, I deleted Snap last week in favor of consolidating my social media presence on Instagram). Interesting post! I’m also pessimistic about Snapchat’s outlook due to the larger players in the market and its stagnant user growth. On the positive side, Snapchat has been rolling out several new advertiser tools (e.g., Snap Publisher for building vertical video creative, a self-serve Ad Manager, Snapchat Certified Partners program) that will make it easier for advertisers to run campaigns on Snapchat and better evaluate whether their ads are effective. Snapchat has also done a good job of expanding beyond ephemeral photos (which was likely a limited market). However, Snapchat may not have strong pricing power due to its slowing user growth. In addition, now its features are encroaching on similar offerings from tech giants such as Facebook. As seen in Facebook’s blatant and successful copycat attack, I think it will be increasingly difficult for smaller tech players to keep their innovations unique and proprietary, as the tech giants have the money and people to move faster, and the technology is not easy to protect by law so far. In addition, Snapchat also faces another common problem of consumer apps which is balancing ads with a great user experience, and there has already been backlash on the company’s redesigns. There is only so much time and engagement that users can give, and Snapchat faces the challenge of differentiating itself from other apps and creating enough value for customers to use it. Very interesting post (and impressive Snap score haha). It will be interesting to see if Snap can in fact come up with some sort of innovation that giants like Facebook and Instagram cannot replicate. It’s interesting that what felt like overnight people shifted from Snap to Instagram stories and I think the reason for this is that Snap feels more personal, so people don’t go out friending everyone they’ve met where Instagram there feels like less of a barrier to follow people. So in talking to a few people and inquiring why they used Instagram stories over Snap, their response was that they could publicize their story to more people as opposed to the few closer friends that they’ve connected with on Snap. For Snap, I worry that this will be an issue for them going forward no matter what features they roll out. People simply just have less friends on Snap and will be less incentivized to use it. I’d actually wonder what the average number of connections people have on Facebook vs Instagram vs Snap. Very fun company to watch. Facebook and Google are all going after Snaps. Short video types are gonna be even more hype as attention span gets shorter and shorter. Instagram stories seems to be winning due to its integration with photos, Facebook and simpler user interface. Snap should enhance user experience to be able to compete.